An education from Post University is both valuable and affordable. Financial Aid Advisors assist students by finding a plan that works to achieve one’s educational goals. 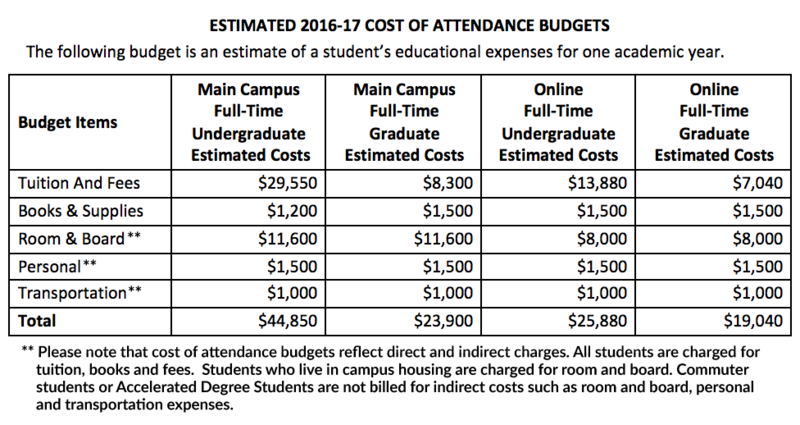 Listed below are projected costs of attendance for an academic year. These figures only serve as a guide. Actual expenses may vary based upon a student’s housing preference, enrollment status and academic progress. * Campus Students who are interested in studying abroad should consult with a Student Finance Specialist early in the process to discuss funding options. Costs incurred from studying abroad may be included in the cost of attendance budget.